Sleep and Weight Gain: The Surprising Connection - Eat. Lose. Gain. Have you hit a dead end with your weight loss goals, even though you’ve tried to do everything right? If so, there could be a surprising reason. Clean eating and exercise are vital parts of a healthy lifestyle. But ready to be shocked? Your sleep quality is just as important. 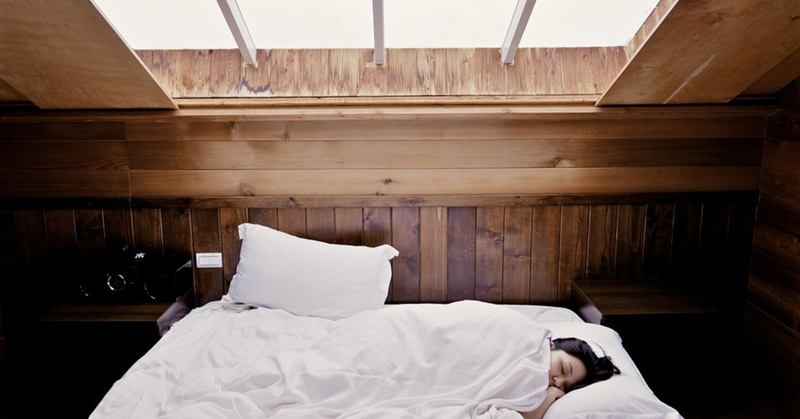 Proper sleep is a vital lifestyle contributor to your weight loss success. You must become as dedicated to fixing your sleep as you are to cleaning up your diet. In this guide, we’re going to take a look at some of the ways that sleep deprivation affects your waistline. First of all, when you’re tired, your body craves more french fries, cheeseburgers, and ice cream than when you’re feeling refreshed. Plain and simple. Wanna know why? First, your lack of sleep messes with your hormones that regulate hunger. And get ready for this – scientific studies suggest that those that sleep well burn off 300 more calories every day than those people who are sleep deprived. Wow! I guess this goes without saying. But when you’re tired and exhausted from a lack of sleep, your motivation to exercise takes a nosedive. Shocking, I know. As cathe.com points out, you’ll spend your waking hours feeling lethargic and being sedentary. And you certainly won’t do enough exercise to stay healthy – let alone trim. And the beauty of exercise is that if you do enough of it, you actually sleep better! So perhaps it’s time to start using that gym membership you bought in January again. Aches and pains don’t just rear their ugly head during the day. They can also keep you tossing and turning all night. And let’s get real. When you suffer from something like back pain, you tend not to exercise. So the problem can become a double edged sword. If this sounds familiar, you need to make your sleeping comfort a priority. According to BestBedsBoutique.com, getting a new mattress that is more suited to your sleeping position can help significantly. And you should also start exercising, regardless of whether or not you feel ‘in the mood’ Your body will thank you for it later. Your metabolism rate dictates how quickly your body can digest food, burn fat, and all kinds of other things necessary for losing weight. But if you aren’t sleeping properly, your metabolism takes a massive hit. Meaning it grinds to a halt. It becomes incredibly sluggish, and will start burning calories very slowly. And here’s where things get interesting. Researchers believe that sleep-deprivation has a similar effect as the aging process on your metabolism. So work on getting those needs Zzzs. Feeling like you are at the end of your tether? Stress is a natural accompaniment to lack of sleep. And the more tired you are, the more of the stress hormone cortisol you’ll release. So stress can cause insomnia, but insomnia then creates stress on your body. And guess what? When you’re feeling stressed, you’re more likely to seek rewards in junk food, cookies, candy – you get the general gist. If you want to make it easier to stop eating trash, get a better night’s sleep. Who knew it was that simple? As you can see, there is a clear link between lack of sleep and weight gain. So give yourself at least 7 to 8 hours every night for sleep. Get a firmer mattress (but not too firm). Start meditating to reduce stress. Make your sleep a priority. Because it isn’t all about diet. And now you know. Are you ready for some quality time in dreamland? *All photos courtesy of Pixabay. Great insight! I try to get a good night sleep every night (not always possible) because I can tell the difference in my thinking and emotions. Exercise definitely perks me up, and I enjoy a workout after a great sleep! This is so true! i always find my self eating like crazy when I didn’t get tons of sleep the night before. Thanks for sharing!